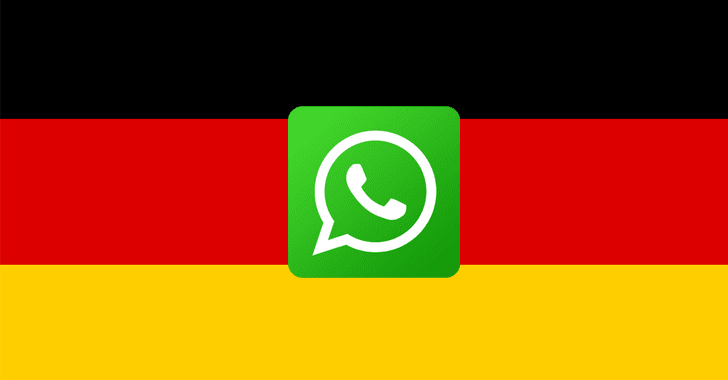 Both Facebook, as well as WhatsApp, have been told to immediately stop collecting and storing data on roughly 35 Million WhatsApp users in Germany. The Hamburg Commissioner for Data Protection and Freedom of Information Johannes Caspar even ordered Facebook on Tuesday to delete all data that has already been forwarded to WhatsApp since August. When Facebook first acquired WhatsApp for $19 billion in cash in 2014, WhatsApp made a promise that its users’ data would not be shared between both companies. But now apparently this has changed, which, according to Caspar, is not only "misleading" for their users and public, but also "constitutes an infringement of national data protection law" in Germany. "Such an exchange is only admissible if both companies, the one that provides the data (WhatsApp) as well as the receiving company (Facebook) have established a legal basis for doing so." the press release [PDF] from the Commission reads. "Facebook, however, neither has obtained an effective approval from the WhatsApp users nor does a legal basis for the data reception exist." Apparently, the new measure was taken by the companies in favor of more targeted advertising on the largest social network and to fight spam. In response to the privacy watchdog’s decision, Facebook released a statement that it complied with EU data protection law, saying: "We are open to working with the Hamburg DPA in an effort to address their questions and resolve any concerns." According to the watchdog, since Facebook and WhatsApp are independent companies, they should process their users’ data based on their own terms and conditions as well as data privacy policies. However, WhatsApp users need not to worry about the content of their WhatsApp messages, like chats and images, as they are end-to-end encrypted, which means even the company cannot read them.